After a fantastic opening weekend at Donington Park just a fortnight ago, Team #109 had high hopes heading into the second round of the season at the Brands Hatch Indy circuit. Aghadowey’s McGlinchey was once again the man to beat in the Dickies British Junior Supersport class, taking victory in the opening race of the weekend on Saturday, before scoring another two podium finishes in the remaining two races, standing on the second step both times and extending his lead in the championship to almost thirty points. 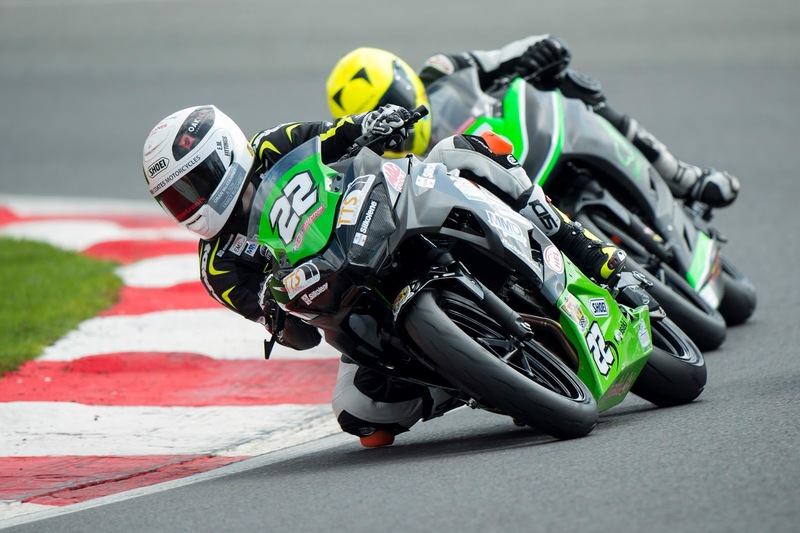 The weekend got off to a great start for the nineteen-year-old, finish free practice on Friday in third position, before going one place better in qualifying putting the Kawasaki Ninja 400 in the middle of the front row for the opening race of the weekend. Teammate Glover struggled to get up to speed in the early stages of the weekend around the tight Indy track, finishing free practice in twenty-fifth, and starting from the back of the grid for the opening race after a difficult qualifying session. 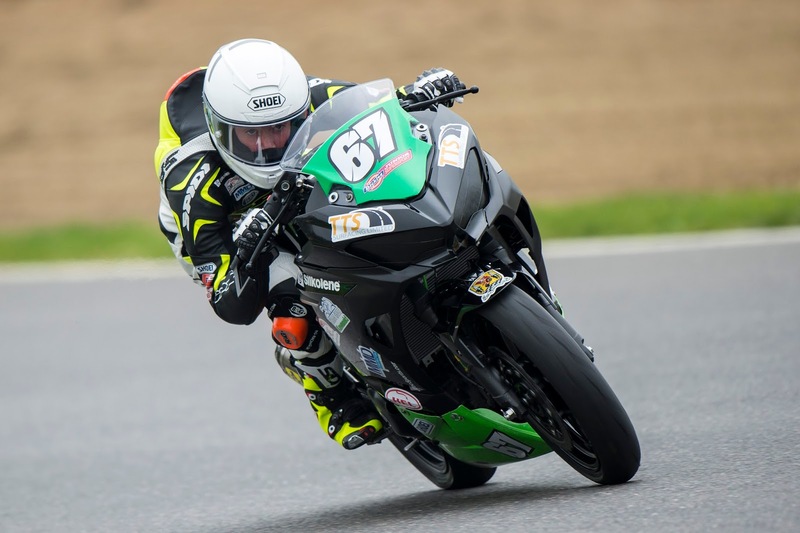 As race one got underway it was once again McGlinchey who was making the moves at the front, battling hard with fellow Kawasaki rider Elliot Pinson and the KTM mounted Brian Hart. As the race got into the latter stages Eunan was well within touching distance of the front, and as they entered the last corner, a diving move up the inside from the Derry teenager saw him take victory in the opening race by an incredible seven hundredths of a second. Fifteen year old Glover didn’t let his starting position hinder him as he moved through the field five places to take twentieth position. Saturday evening saw the second Junior Supersport race of the weekend, and it was once again a dice involving McGlinchey at the front, this time it was down to just him and Hart after Pinson crashed out at Druids with just two laps remaining. As the pair battled to the last corner it was once again a drag to the line to determine the winner, and this time it was Hart who won the sprint, narrowly getting the better of the Kawasaki by just four thousandths of a second. Glover once again improved on his earlier finish, starting from twenty-sixth once again, pushed his way through to a solid eighteenth place, just three positions off a points scoring finish. The third race of the weekend was to take part on Sunday, and once again starting from the front row of the grid McGlinchey was determined to get the better of his rivals in the final battle of the weekend, and after another fifteen lap duel it was once again all came down to the drag to the line with Pinson this time edging McGlinchey off the top step of the podium by four thousandths of a second, with Eunan once again claiming second and adding to his already impressive haul of silverware for the campaign. Glover unfortunately crashed out at Druids in the early stages of the race, bringing his weekend to an unfortunate premature end. With five podiums from the opening five races of the season, McGlinchey sits a top of the championship standings with an impressive tally of one hundred and ten points, and a twenty-nine point gap back to Kade Verwey in second position. Glover is yet to score his first championship point, but after some promising performances this weekend, this is certainly not far away for the young Dubliner. In the Superstock 600 class it was yet another solid weekends work from Edenderry’s Kevin Keyes, which started with an excellent second place finish in the opening free practice session of the weekend on Friday, less than half a second off the top spot. In the second free practice session of the weekend later on that day Keyes put in another solid performance finishing inside the top six in the session, with just one second separating the top ten in the session. As the twenty-year-old went into qualifying, he was still making adjustments to the Team #109 Kawasaki, and despite a few settings still not being exactly how he wanted it he still managed to put his ZX6 machine on the third row, finishing the session in ninth position. A few more adjustments were made before they took to the grid for the race the following day, and the Offaly rider was feeling confident heading into Sunday. 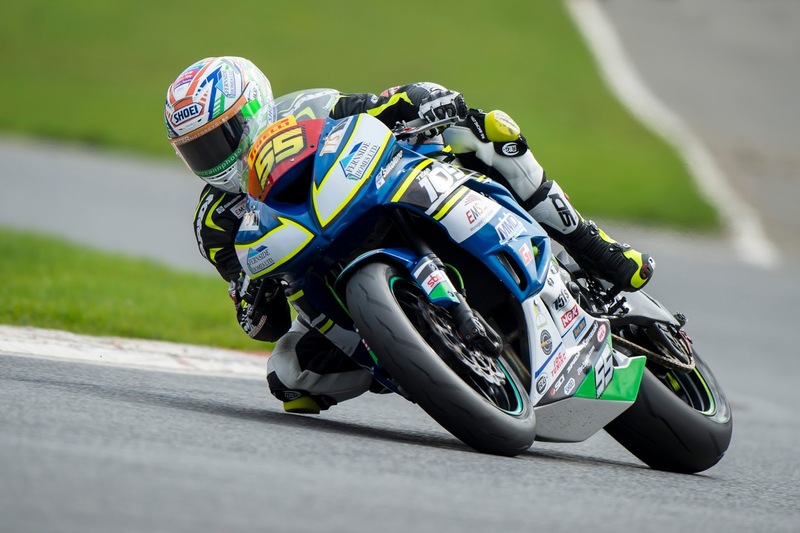 As the lights went out to begin the only Pirelli National Superstock 600 race of the weekend, Kevin got an incredible start, passing five riders into the opening corner, and by the end of the opening lap was in the battle for the podium positions. After a tough battle throughout the twenty-two lap race Kevin was locked in a battle with his fellow podium finisher from Donington Park, Joe Sheldon-Shaw, and in the end, he narrowly missed out on fourth position on the drag to the line, with less than two tenths of a second separating the pair. Following his strong top five finish at the Kent circuit, Keyes remains in second position in the Pirelli National Superstock 600 championship, just nineteen points behind the current leader and race winner Ryan Vickers, with a two point advantage from the Yamaha of Sheldon-Shaw in third position. It’s a two month break now before McGlinchey and Glover are back in action in the Dickies British Junior Supersport class, but it’s just a two week break for Keyes with the Offaly rider back on track in the Pirelli National Superstock 600 class for the third round of the campaign at Oulton Park over the Bank Holiday weekend on the 5th, 6th and 7th of May.